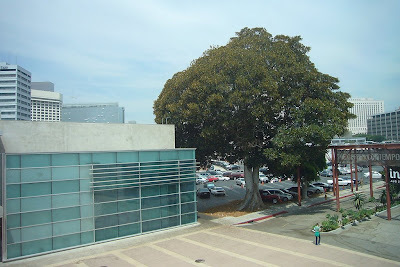 The Aoyama Tree located on the edge of the Japanese American National Museum courtyard was declared a City Cultural Historic Monument in May of this year. The dedication ceremony and a bit of Little Tokyo history will be featured on Huell Howser's "California Gold" on Monday, October 20th at 7:30 P.M. and on Thursday, November 20th at 7:30 P.M. on KCET, channel 28. Please see the tree's history and dedication ceremony in Nikkei Album, created by Fiona Potter.